A study establishes the link between Indian summer monsoon and dust particles found in the atmosphere in the Middle East. The research led by Qinjian Jin, a post-doctorate associate at the Massachusetts Institute of Technology’s Earth, Atmospheric and Planetary Sciences department, was published in the journal, Nature Scientific Reports. The Indian agricultural scenario is linked to monsoon as most farmers depend on the rains for cultivation in the absence of irrigation. The arid regions of the world are the largest sources of dust aerosols. A World Meteorological Organization report states that the largest dust source region in the world is North Africa, which is responsible for up to 18 per cent of global dust emissions. Other regions are the Middle East, Central and South Asia. Dust particles from the Middle East heat up the troposphere above the Iranian Plateau and the Arabian Sea. Dust particles are found in the atmosphere when certain conditions are met: dry soil, loose soil/sand particles, strong winds and sparsely-vegetated land cover. “The magnitude of dust particle-induced changes in (the) Indian summer monsoon largely depends on the ability of dust particles to absorb solar energy,” Jin added. The study also suggests that current climate models use conservative levels of dust’s heating capacity and thus underestimate the impact of dust aerosols on the Indian summer monsoon. “In our study, we found that the heat captured by dust particles from the Middle East deserts can change the Indian summer monsoon’s circulation, which in turn, enhances the monsoon rainfall,” Jin told Down To Earth. However, there are limitations to the study. Its computer-based simulations are based on data taken from previous studies and it cannot pinpoint where the particles have been picked from. Mineral dust is a type of atmospheric particulate matter made of mineral oxides. Dust picked up from different geographical locations across the world will have different compositions. The variation in mineral composition causes variation in absorption capacity of dust particles. Further research is needed to understand this variability in the heating capacity of dust particles to accurately predict monsoon trends. 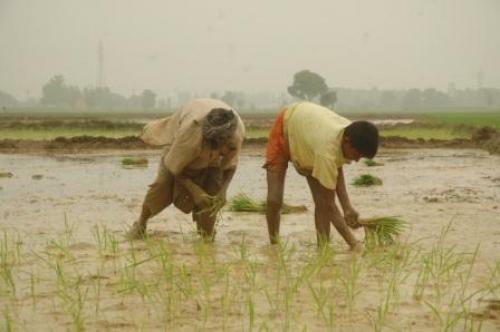 Though there are many factors that affect the nature of the monsoon such as the El Niño–Southern Oscillation, land surface temperature and soil moisture, the study adds another dimension to our understanding of rainfall patterns during monsoon in the country.